Please visit our sponsors, we couldn’t do it without them! Premier FAA certified overhaul and Repair Station specializing in Pratt & Whitney engines. Hardy Aviation Insurance is the superior choice in aviation insurance, providing superb rates and the best in customer service. Fagen, Inc.is a premier EPC industrial construction company most admired by their customers for their people, partnerships, performance, and finished product, ultimately building a better world for tomorrow. Quality Aircraft Accessories repairs, overhauls, and exchanges general aviation aircraft engine accessories and aircraft components. Your aviation welding specialists. Box5 Media offers high-quality, effective marketing solutions for your business. Premier manufacturer of aviation spark plugs and airframe components. Premier manufacturer and distributor of fuel pumps, smoke pumps, and hydraulic pumps. Over 2 Decades of Proudly Supplying Premium Aircraft Batteries. Leading provider of communications systems and hearing protection for high noise environments, protective equipment for aerospace, and much more! Providing superior avionics sales, installation, and services. FFC manufactures New PMA fuel cells and overhauls and repairs fuel cells for all aircraft platforms. Since 1977, FFC has set the standard for timely fuel cell repair and reliable manufacturing. we’re proud to put our name on. Manufactures top quality custom 5 point aerobatic harnesses and belts tailored to suit your needs! Pioneering High Intensity Discharge lights for the Aviation industry which increase brightness and decrease amperage. A special thanks for sponsoring the Night Twin Beech Act. Designs and manufactures nearly 2000 different quality FAA-PMA parts for Cessna, Piper, Grumman, Beechcraft and Ag Cat aircraft. North Iowa Air Service in Mason City, Iowa offers full-service fueling, Aircraft Charter/Aircraft Management, Flight Instruction, Full-Service Maintenance, Aircraft Rental, Sales, Storage, and more. Premier designer and provider of more than 500 products designed to eliminate pain, improve impact protection and reduce noise. Leading supplier of avionics, GPS, pilot supplies, aircraft service, and much more! 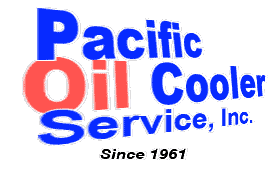 Specializing in Aircraft: Oil Coolers, Fuel Heaters, Valves, Heat Exchangers, Condensers, and Evaporators. Leader of aircraft wheel and brake systems. A special thank you for providing the new wheel and brake assembly for the Twin Beech!!! Offering a broad array of fluid conveyance solutions for virtually any aerospace application. Approaching 50 years in business, Pop’s Leather has a worldwide reputation for exceptional quality at unmatched low prices. Their products include Mens and Womens Fashions, luggage and bags, sporting bags and gun leather, and business accessories. Manufacturer of general aviation intercoms, audio control systems, and in-flight systems. Specializing in portable oxygen systems for general aviation aircraft. SOFTIE emergency parachutes are known world wide for being the highest quality, most comfortable, and reliable emergency parachutes available. Leading the experimental and LSA market with superior autopilots, electronic flight information systems, and horizons. A special thanks for their extensive Twin Beech sponsorship! Makers of Aviation, Automotive, and Industrial Safety Lighting since 1953. A special thanks for sponsoring the lighting for the Night Twin Beech Act. Copyright 2018 - Younkin Airshows, Inc.